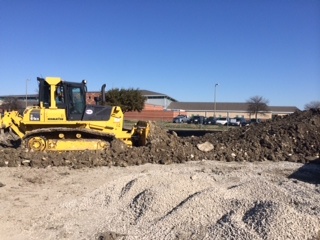 Dirt Solutions & Concrete handles parking lots and paving, large dirt excavation projects, foundation pads, moisture control, and concrete services. Locally owned and operated with decades of experience. 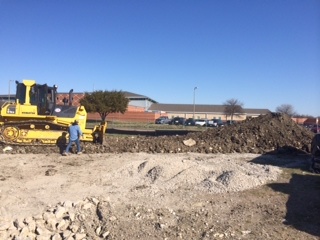 Below is a recent commercial dirt moving job we handled in the North Frisco area. No job is too big or small for our team! Do you live in DFW and need professional concrete services? Need full concrete parking lot installation or foundation install work? No matter what your concrete needs are, Dirt Solutions can help. We specialize in virtually every application for concrete in both residential and commercial construction across North Texas. We offer concrete backyard construction up to large commercial foundations. Give us a call today for a fast, free consultation with our locally-owned company. We look forward to earning your business! Your contact info is secure and will never be shared with a 3rd party. "Dirt Solutions offers over 20 years of experience in parking lots, sidewalks, patios, driveways + moisture control, building pads and more. If you can dream it, we can build it. 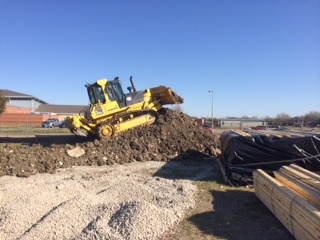 We specialize in dirt excavation." Other concrete services offered include acid staining of concrete, walkway construction, residential and commercial, removal and replacement, epoxy floors, stamped concrete and repairs, parking lot construction, foundation laying and paving, overlays, stencils, deep foundations, flat work, exterior work. If you can dream it, we can build it! Need a grand entrance or a place to soak up the sun during Texas summers? Dirt Solutions is experienced and well equipped to handle the job. Choose from beautiful stamped, decorative concrete for that special touch or the sparkle and texture of exposed aggregate. Custom patios, driveways, walkways, pool decks and porches designed to add functionality and beauty to your home or commercial space at a price you can afford. Concrete foundation info: By far, the most common type of material that is used for foundation work in all types of construction is concrete. Concrete resists decay, moisture and corrosion from acids. Concrete not only has a great compressive strength, but it is also easy to handle in form to fit the specific needs of the construction project. It is commonly used in the construction of homes, dams, bridges, roads and tunnels. For concrete to be properly placed, a form must be built. The location of this form is very important. Once the concrete is poured, it is not possible to move the footing without breaking the concrete and destroying the foundation of the bathroom or kitchen. Depending on the size of your remodeling or construction project, concrete may be mixed near the side and hauled in dump trucks. This is common in projects such as road and sidewalk construction. When it comes to repairing concrete surfaces, such as driveways or basement floors, this is mostly a matter of selecting the best repair product for the job, preparing the repair area properly, then applying the products as directed. Concrete cracks that are 1/8 in. wide or narrower can often be filled with concrete and mortar caulk applied with a caulk gun, then smoothed with a putty knife. Concrete caulks are elastomeric (flexible) when dry, so they'll resist minor movement. However, if the crack continues to open up due to faulty construction, caulks should be considered a temporary fix only. Most caulks must be applied to a clean, dry surface and aren't recommended in areas where water pooling occurs, or for sub-grade applications. A variety of patching products are available for repairing large cracks and holes of various sizes. Depending on the brand, the bonding agent used may be latex, vinyl, or epoxy. Remember, when repairing a concrete driveway crack, use a hammer and cold chisel to widen and deepen the crack, removing any loose or crumbling concrete. With most patching materials, it helps to undercut the edges slightly to help key the patching material into the crack. Some newer products don't require undercutting. Wear heavy gloves and safety goggles to protect yourself from flying chips. No matter what your needs are, we can assist with all many of new concrete application anywhere in DFW and North Texas. Some site content courtesy of BKR Pros.